Thank you, thank you..terima kasih.. Sorry, such a short speech. 1. if you like to play along, please link back to this post so others can find the original meme. 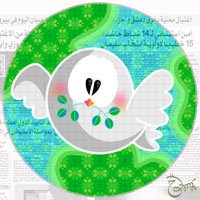 I ve received this peace tag from mango. 1. take some minutes to meditate about love and peace, pray for countries that are facing troubles, for those people you love and those you don’t. 3. Link to this post so that people can easily find the exact origin of the meme. I would like to pass along these to : roxychick . ida . secangkir kopi . nikli . blue . pupu . abah . dbub. Thank you Rizal! I'm so honoured, the award is so beautiful! I m just inspired to have known your site. Thank you..
oh rizal! this is so sweet. i feel so honoured. your blog is inspiring too! and u have been such a supportive blogger friend to me. all the best to u, rizal! the pleasure is mine. U have been such a supportive blogger friend too. Hope all the best for all of us ya. May the best of life b with us..
yea, hope all the best for all of us.. Aminn..
hope all the best for all of us..
Seyesly my the best award ever! love it!!!! pastu kena tag lak tu.. hehehe..
insya Allah i'll do the meme. banyak benda nak ckp nih.. (after the election lak tu kan..) but not sure bila bole buat sbb tgh byk keja nak siapkan. 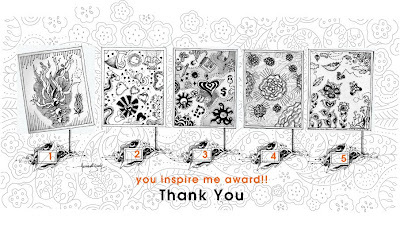 glad that you like it, i am honored to give you that award.. huhu..
tak susah bagi award tu..nak2 dalam dunia digital ni kan..hehehehe..
yer laaaa, lepas pru12 ni, mcm menarik nampaknya..hehehe..
hello rizal! it's always a pleasure to visit your blog! thank you for the award, it's an honor and i will post it asap! thank you tang moooooo mug tuuu..